From the Manufacturer Not only is Iomega known for their great storage devices, but they are equally known for their durable media products that help you increase your storage capacity. 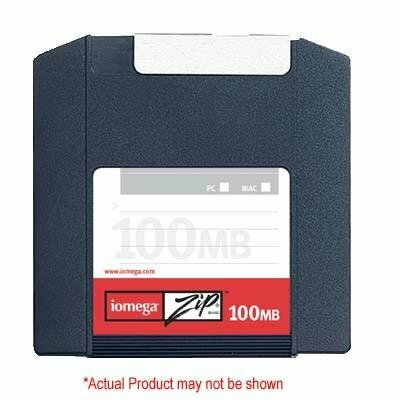 These disks work with Iomega Zip drives and store up to 100 MB of data per disk. Each disk comes with a five-year limited warranty. All Zip disks are pre-formatted, protected by a rigid plastic shell, and offer shirt-pocket convenience. Zip disks are durable and can easily shrug off the bangs, bumps and scratches that can ruin CD-R and CD-RW discs. And, because Zip disks are inherently rewritable, users don't have to stock one type of disk for write-once operations and another type for rewritable operations. The same Zip disk does it all with superior rewritable performance and durability.